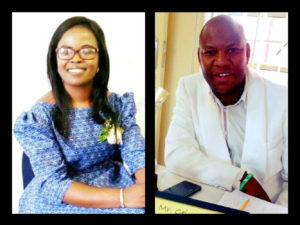 Patrick Geingob, a self confessed murderer, who on Friday night sent shockwaves through the community of Okuryangava by stabbing his wife, Merentha Geingos, so badly that her internal organs were left exposed, briefly appeared in the Katutura Magistrates earlier on Monday. 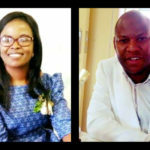 It is alleged that the couple had an argument at their home shortly after the murder accused arrived home. During the argument he used a knife to repeatedly stab and slice at his wife’s stomach. She was rushed to Katutura State Hospital in a critical condition before she was transferred to the Windhoek Central Hospital where she succumbed to her injuries on Saturday. According to Deputy Commissioner Edwin Kanguatjivi of the Namibian Police’s Public Relations Division the suspect handed himself over to officers at the Wanaheda Police Station. The deceased was also a teacher at a Windhoek school. Geingob appeared before Magistrate Johanness Shuuveni on Monday morning where he was formally informed that he faces a charge of murder. Magistrate Shuuveni ruled that the heinous murder is a very serious offence and that it would not be in the interest of justice and the public before denying the accused person bail. Geingob indicated that he would apply for legal assistance from the state and was remanded in custody until 23 July this year. The Magistrate did inform the accused person that it is his right to bring a formal bail application to court before his next court appearance in July. The matter was postponed to allow the Geingob time to apply for Legal Aid.